Inspiring the next generation of primary school pupils and teachers. The Children’s Shakespeare Festival is a major project established by North West Drama Services Ltd to increase understanding and enjoyment of Shakespeare, while building skills and confidence in primary teachers' use of Drama. The Children's Shakespeare Festival aims to inspire excitement in Shakespeare’s plays and encourage the use of educational drama as a tool for deep and active learning. It comprises a range of projects which combine cross-curricular classroom activity with performance by children in professional theatre spaces. Every year the festival introduces hundreds of primary school children, along with their teachers and families, to Shakespeare and drama as a deep, active learning experience. Each festival builds towards a technical rehearsal day, followed by a performance day, where participants share their interpretation of a classic Shakespeare text with family and friends.  The Festival is important to the Royal Exchange Theatre as it is the foundation of our current work with primary school children. The simple, effective model combines cross-curricular, classroom activity, culminating with live performance by the children in a professional theatre space, a huge achievement for all participants. The festival and the learning process leading up to it inspire a genuine excitement in Shakespeare’s plays and brings many new visitors to our building. The Children’s Shakespeare Festival also enables us to work in partnership with North West Drama Services to deliver high quality professional development for Primary teachers, including directing, stagecraft, theatre design, stage management, and working with theatre professionals. This experience empowers teachers to lead and inspire their students, giving them new confidence in their use of Drama as a tool for learning. In 2017, over 700 children from 13 schools from across the region will perform in three festivals to present their unique interpretations of TWELFTH NIGHT.